CASA is the oldest international conference in computer animation and social agents in the world. It was founded in Geneva in 1988 under the name of Computer Animation (CA). The conference is organized by ISCAS and sponsored by the Chinese Academy of Sciences (CAS) plus National Natural Science Foundation of China (NSFC). It is supported by the Computer Graphics Society (CGS). 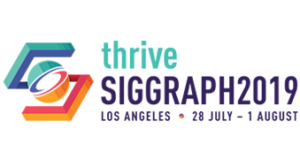 The conference is held in-cooperation with ACM SIGGRAPH.